Levitical priesthood law, according to Hebrews 7:11-19, has changed. “There was made of necessity a change” because the priests who were Aaron’s direct-line descendants engaged in a priestly office that was both weak and unprofitable. Their priest-hood was weak through the continual deaths of the priests which required the ordaining and anointing of new priests. Their priesthood was unprofitable because they offered inefficacious blood from bulls and goats and calves. New Testament priests, referenced by Peter and John and Paul, are priests under Jesus Christ the Great High Priest after the order of Melchizedek. His unchangeable priesthood is not weak but strong because he ever liveth to make intercession. His unchangeable priesthood is not unprofitable but effectual because the blood he offered was his own spotless blood, and the place he offered it was not a tabernacle made with hands but the true tabernacle which the Lord pitched in heaven. The intercession of the Great High Priest Jesus Christ is noted in Hebrews, the Gospel of John, and other passages. The priesthood of believers is more than a separatist belief of all true independent Baptists (the P in the acronym B-A-P-T-I-S-T). The priest-hood of the saints is a Scripture doctrine. Its basis is found throughout the New Testament as former pagans and idolators believed the Gospel message. Once the lost ones received the truth of the death, burial, and resurrection of Jesus Christ to atone for their sins, “the offering up of the Gentiles [became] acceptable, being sanctified by the Holy Ghost” (Romans 15:16). One might ask what sacrifices the New Testament believer offers since the blood of redemption was offered by Jesus Christ once for all sin, for all sinners, for all time. Among New Testament sacrifices listed are the following: (1) a holy, living body, Romans 12:1; (2) selfless service, Philippians 2:17; (3) gifts to faithful servants of Christ, Philippians 4:18; (4) thanksgiving, Hebrews 13:15; and (5) doing good and communicating, Hebrews 13:16. It is the selfless service sacrifice that will receive attention in this message, and specifically the self-less service of intercessory prayer as exemplified by Epaphras who labored fervently and zealously in the priestly work of prayer for the development of the saints in Colossæ, Laodicea, and Hierapolis (Colossians 4:12, 13). Whether the Old Testament high priest of Aaron’s line of the New Testament priest of Melchizedek’s, the priestly work of intercessory prayer is seen throughout the Scripture. Three symbolic characteristics of the priest’s clothing from Exodus 28 can be “in a figure transferred to” (I Corinthians 4:6) the glorious, necessary ministry of intercessory prayer for the “holy…royal priesthood (I Peter 2:5, 9) of our day. Hierapolis, and Laodicea, he had names to call, and he was burdened for them. His plea was genuine based upon the accuracy of their true spiritual condition. This was no ministry for the faint of heart who would gloss over the real matters. No. The high priest was to bear the burden of the honest reality of the people’s spiritual need. He carried upon him the crushing of their carnality, the weight of their worldliness, the duress of their disobediences, the pressure of their progress, and the stress of their spirituality. II. Brokenness in Intercessory Prayer: Exodus 28:15-21; 26-30. Upon the ephod there was also to be a breastplate of pure gold having four rows of stones, each one engraved with one name of an Israelite tribe. This was to ensure that “Aaron [should] bear the names of the children of Israel in the breastplate of judgment upon his heart, when he [went] into the holy place, for a memorial before the LORD continually.” Beyond his burden, Aaron (and thus any priest) was to be broken in heart. Beyond naming names in the truth of burden, he was to bear names in the tone of brokenness. stories of Ruth, Hannah, Hezekiah, and Daniel to see the agony of emotion wrapped up in their prayers. All one need do is read of Jairus’ pleading for his daughter’s health, the church’s pleading for Peter’s release, or the Saviour’s pleading in the garden of Gethsemane for the cup to pass to realize that emotion-laden prayers are not the equivalent of sissified prayers! III. Boldness in Intercessory Prayer: Exodus 28:36-38. 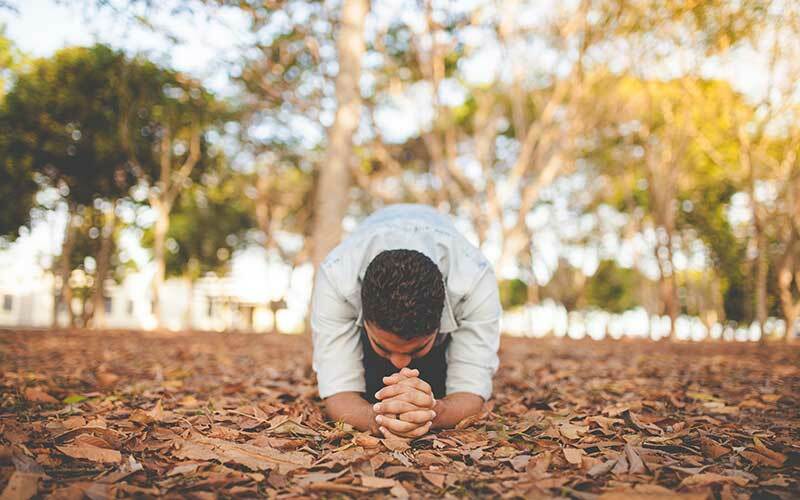 Finally, the high priest’s intercessory prayer—and by extension, the intercessory prayer of the saint of the present priesthood—was to be characterized by bold entrance into the presence of God. On the ancient high priest’s mitre was to be a gold plate engraved with the words “HOLINESS TO THE LORD.” That plate was to be “always upon his forehead, that they may be accepted before the LORD.” The iniquities and uncleannesses of the children of Israel were never to prevent or prohibit Aaron’s coming to God on their behalf. He was to pray for them anyway. How like our present priesthood in which we inter-cede for fellow believers whose lives are plagued with problems and beset by bondages. How like our present priestly ministry whereby we approach boldly the throne of grace on behalf of those in desperate need of obtaining mercy and finding grace in times of need (see Hebrews 4:116). How like the current role of those made “priests unto God” (Revelation 1:6) as they beg and plead and cry on behalf or real souls with real names. This said, it behooves us as Baptists to abandon our anemic prayers and replace them with agonizing prayers. It must needs be that Baptists who would see personal and/or churchwide, corporate revival rip up their vain repetitions and come before God with burdened, brokenhearted, bold prayers that rattle the rafters of the heavenly tabernacle and arrest the attention of God and achieve answers! Independent Baptists who too long have feared identification with charismatics if their eyes weep or if their voices crack will have to radically renovate their prayer lives if they will break through the enemy forces and reach the well of Bethlehem by the city gate to dip into the well of water of life! Fundamental Baptists today may not agree with the theology of John Knox, but few can argue with his prayer “Give me Scotland or I die!” That prayer gave him Scotland! Fundamental Baptists today may not accept all the methods of Hyman Appelman, but few can disparage his prayers that closed bars and opened churches. Fundamental Baptists today may not adopt the chair-breaking pulpit antics of Billy Sunday, but few can mock the prayer life of this man who saw millions walk the sawdust trail. Whether we wish to acknowledge it or not, fundamentalism as a cause is fragmented, fermented, and fomented. Fundamentalism is fragmented by contentious contending. We must contend for the faith with courage and conviction, but contentiousness prevents answers to prayer and leaves us with the fruit of the flesh. Too many preach with anger instead of anguish. Too many preach with jealousy of someone else’s statistics instead of jealousy for the souls of men. Too many preach for statistics when the spiritual focus needs to be sound doctrine and solid churches. Too many preach in lordship when what is needed is lowliness, love, and Lamb-likeness. Fundamentalism is fermented in the swill of convenient compromise, following a mere few “respectable” paces behind the doomed neo-evangelical movement as we embrace cultural trends, worldly music, fleshly style, heathen education, humanistic counseling, and a host of other “blending techniques” to reduce our spiritual carbon footprint. Fundamentalism is fomented by enticing slogans that have reduced the church of our day to spiritualized professional teams ranting and chanting from the stands when we ought to be fighting the good fight of faith in the arena. Churches are so concerned with being cutting edge that they fail to be cut the mustard. Churches are consumed with exciting programs for their teenagers, yet a larger percentage than ever before are leaving the church for ever increasing levels of excitement never to return. Edge-of-one’s-seat Christianity and book-of Acts Christianity have very few common factors. Truly, book-of-Acts Christianity will keep one on the edge of his seat, but the reverse is seldom true. The call is for pointed intercessory prayer offered by burdened, brokenhearted, bold priests. Such intercessions must be pointed in the specifics of the request so that the answer is recognizable. We must ask and seek and knock for people’s needs by name. We must name sinners and saints and their true needs and keep asking until God answers. The prerequisite now is persistent intercessory prayer offered by burdened, brokenhearted, bold priests. May God give our generation a group of men and women who will pray until the answer comes, until Jesus comes, or until they die. May God grant us today priests who understand their priesthood.